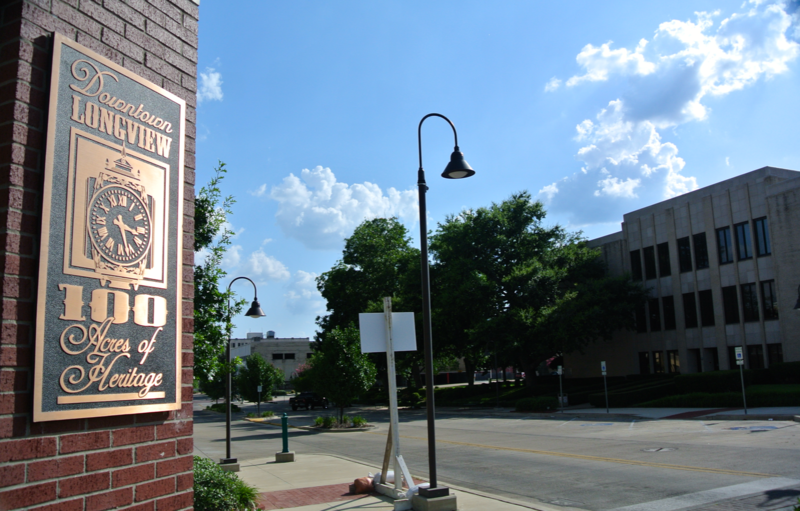 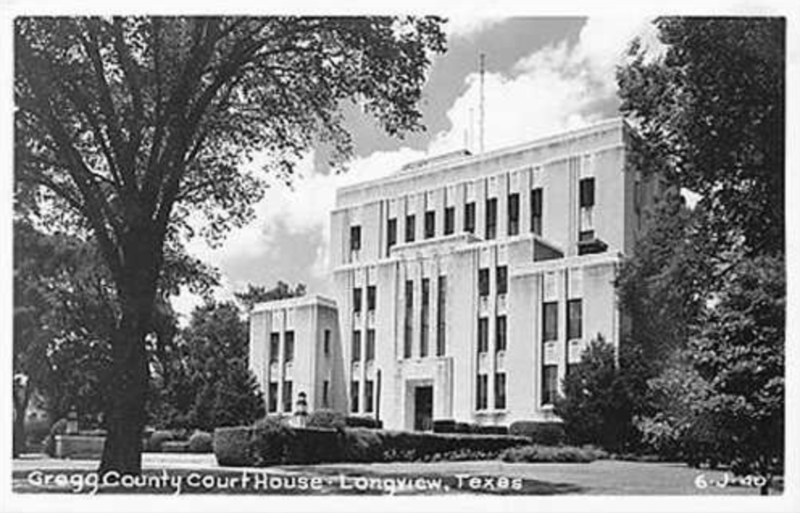 I was the guest of Longview and Gregg County on July 14 & 15, 2014. 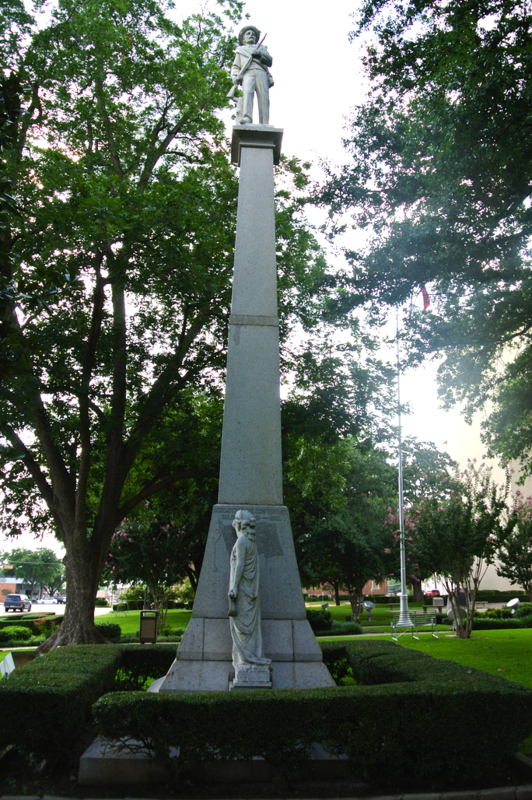 Designed by F.E. 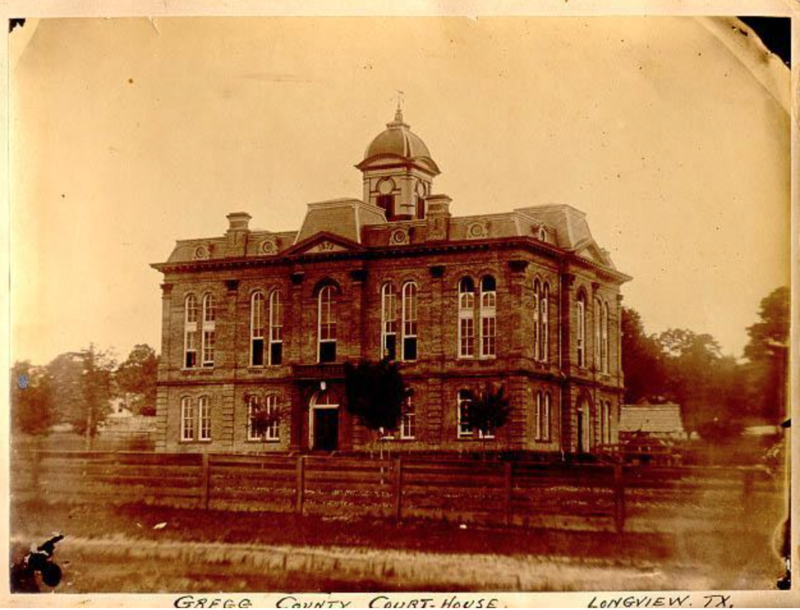 Ruffini in the Second Empire style, this was built in the year 1879 by contractor John McDonald for a total of $13,447.00. 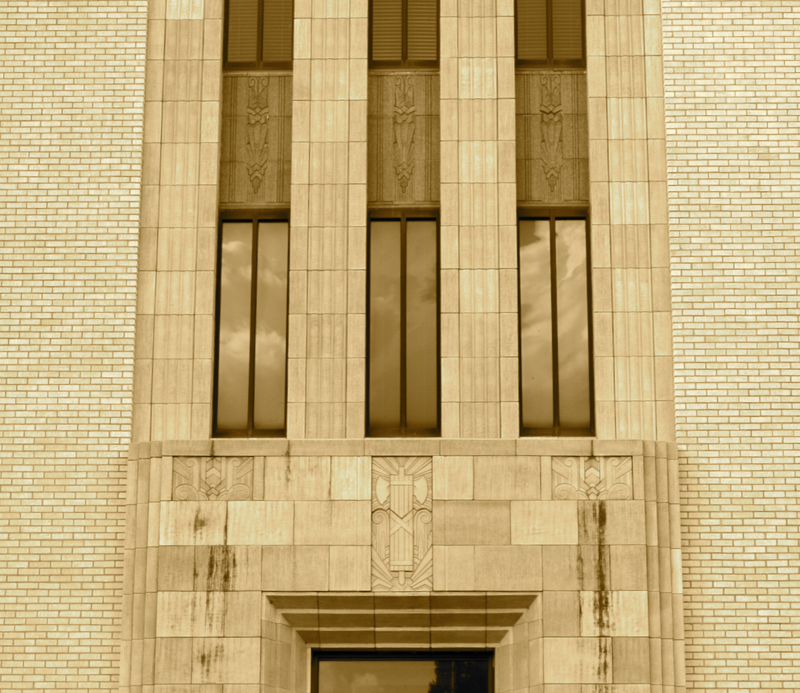 For reasons unclear, it no longer exists. 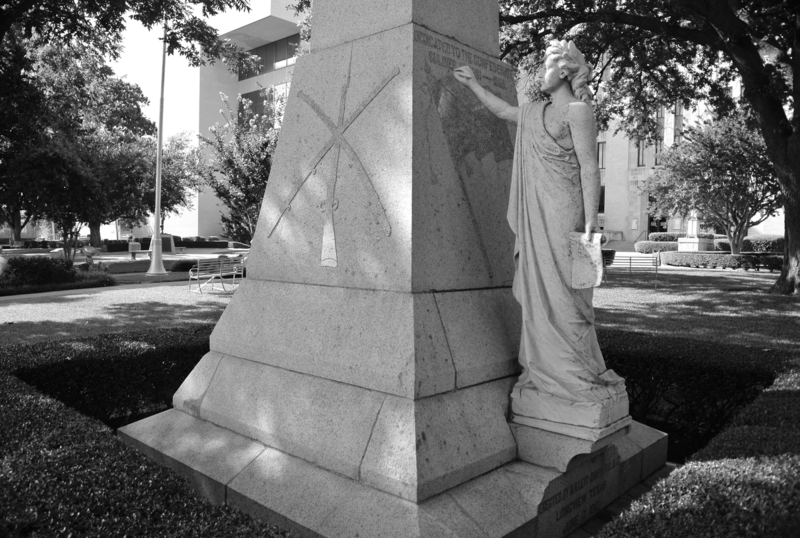 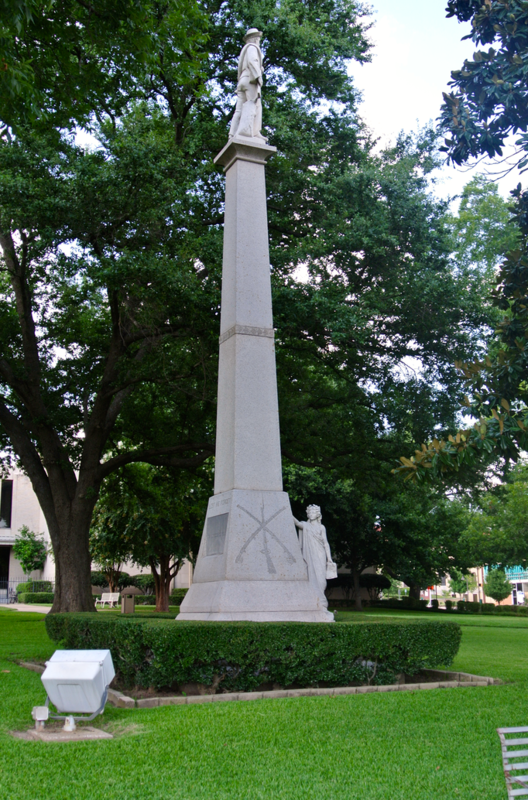 Designed by Marshall R. Sanguinet and constructed by G.W. 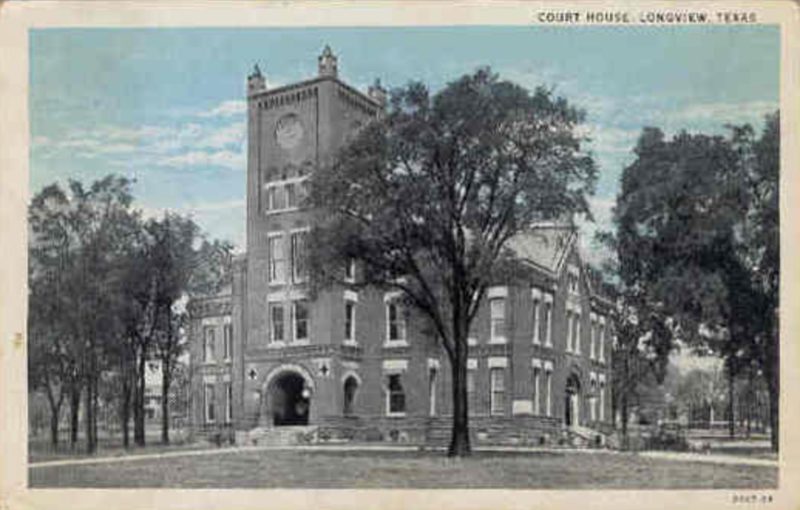 Donaghey on the exact same site as the 1879 courthouse, the building’s distinctive red bricks soon gave rise to the apparent local nickname: “The Old Red Courthouse”. 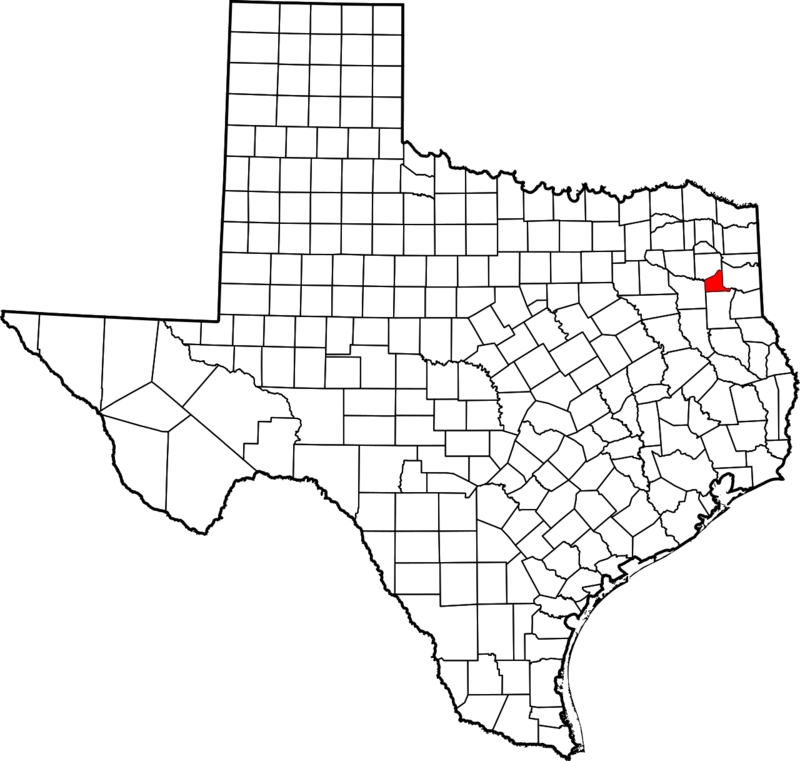 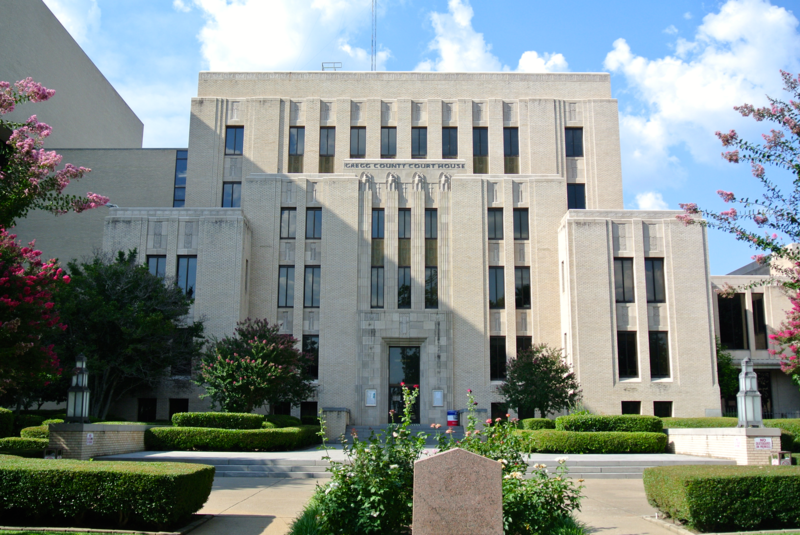 That’s curious, as that nickname is still in use for the Dallas County Courthouse four counties to the west. 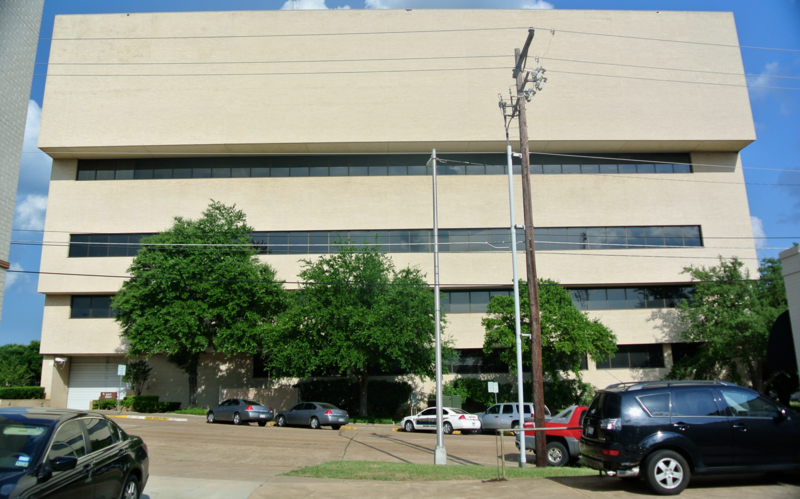 This building too met its end. 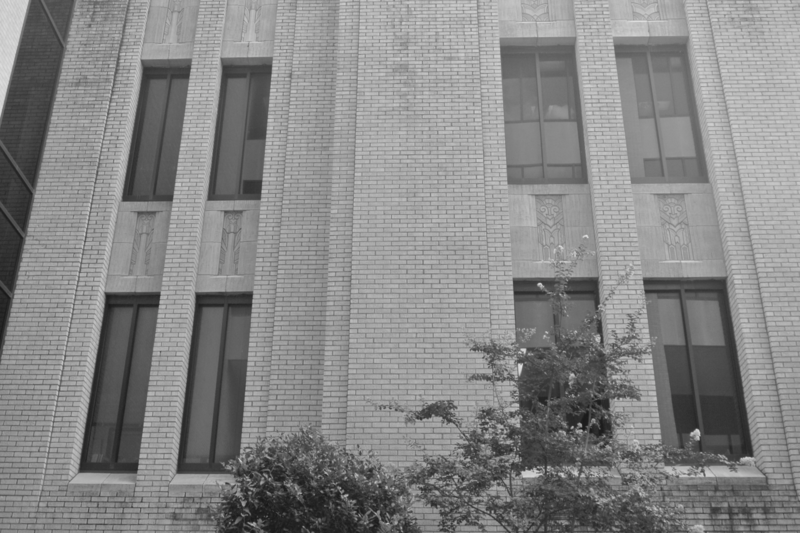 Historical trend would point to it having been demolished during the Great Depression years, but I can’t be completely certain. 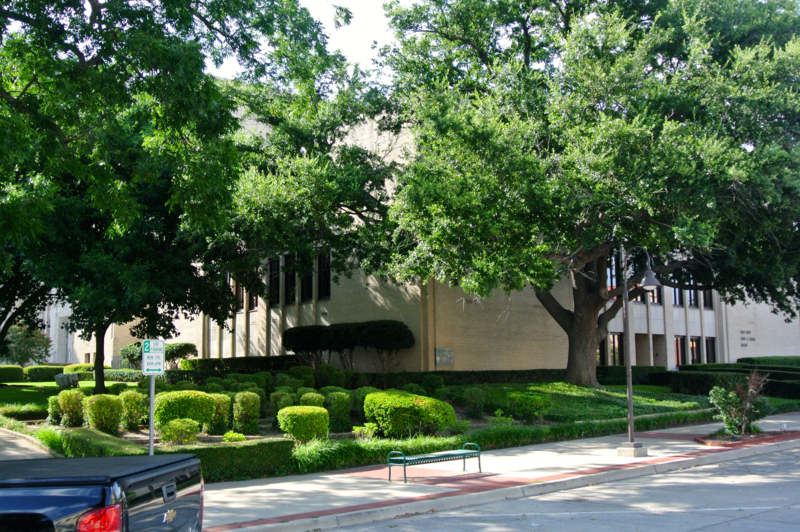 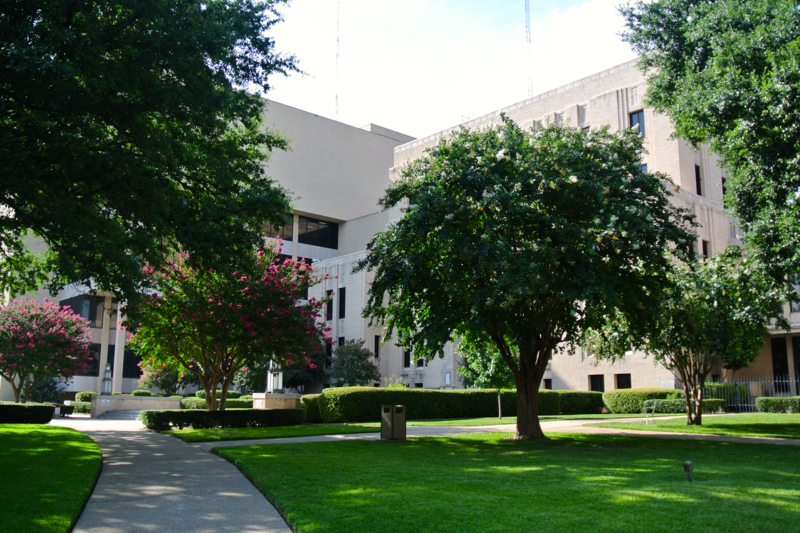 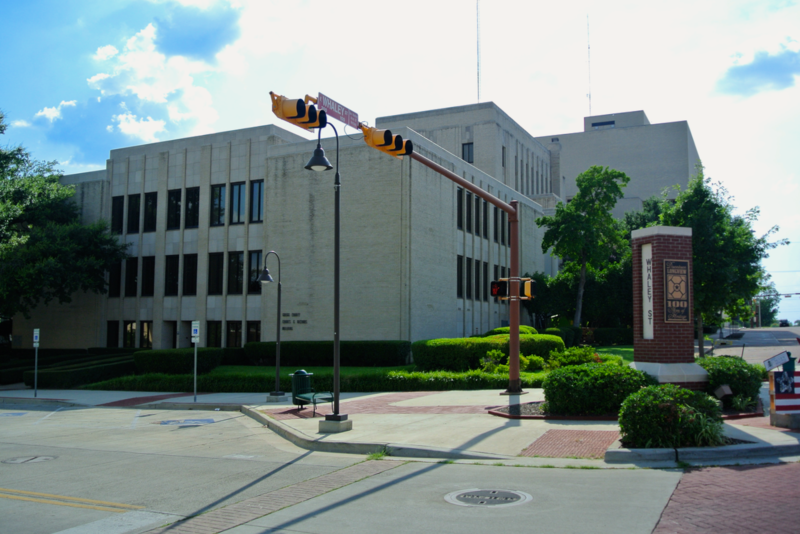 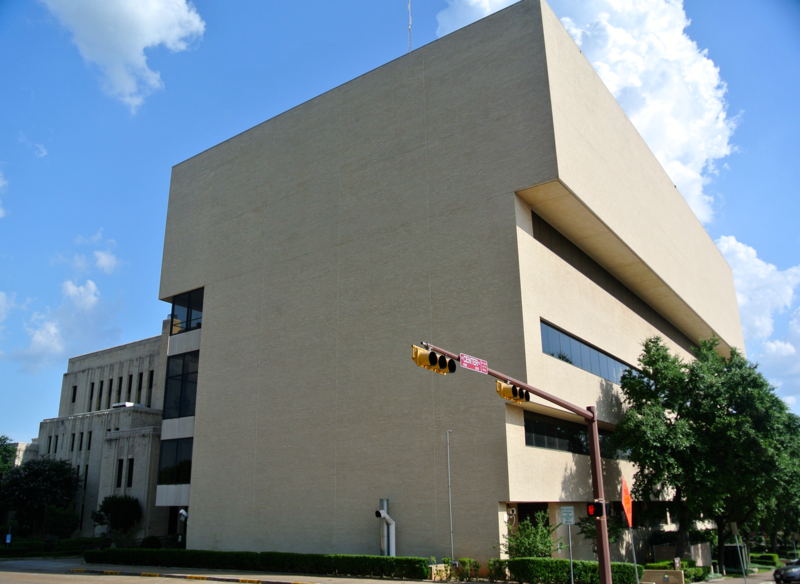 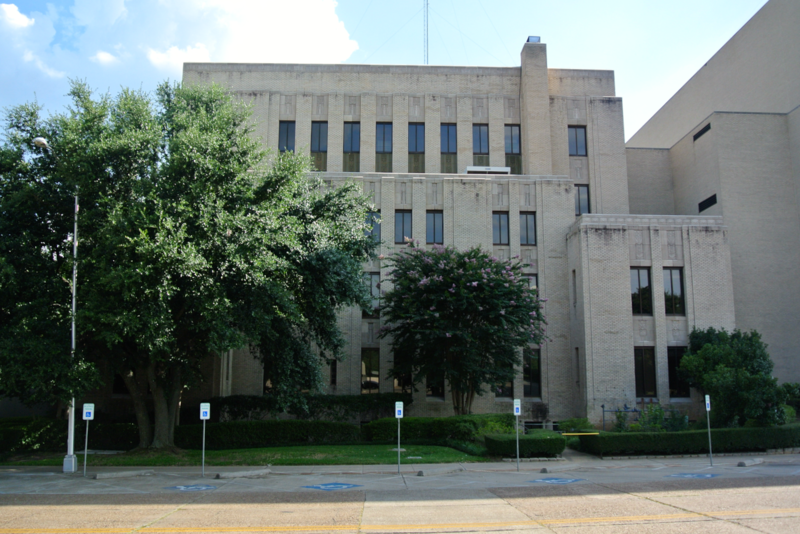 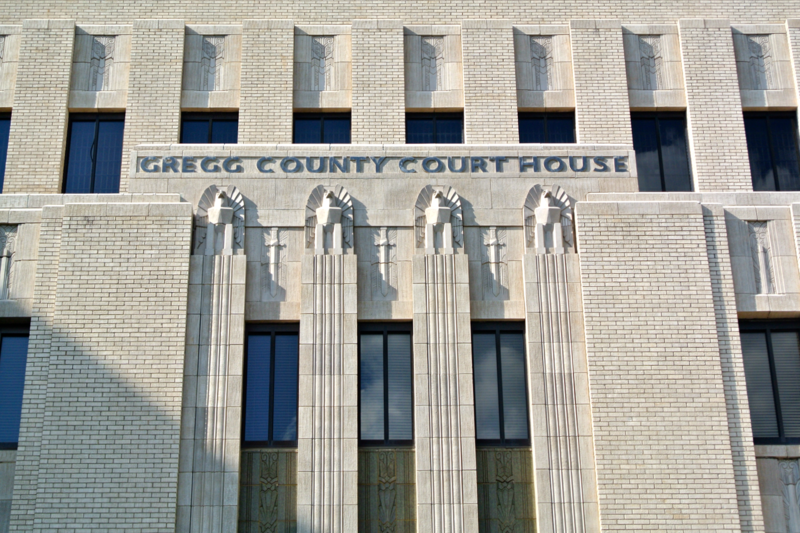 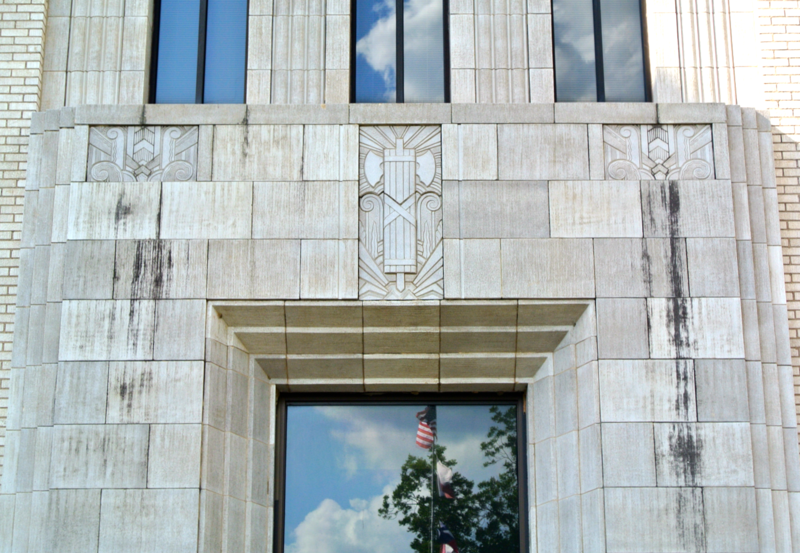 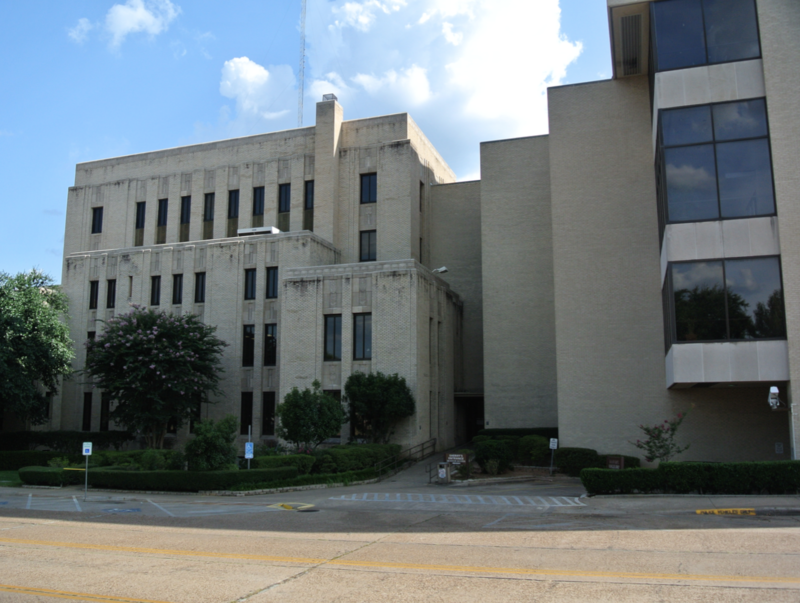 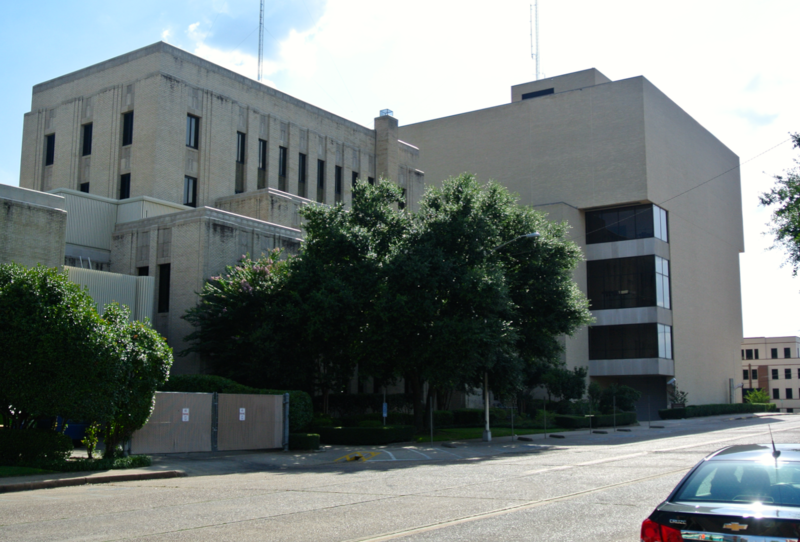 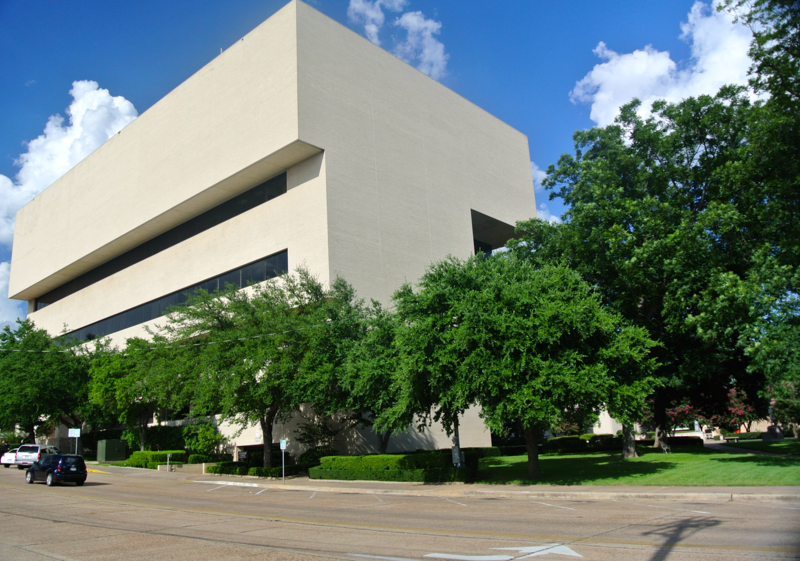 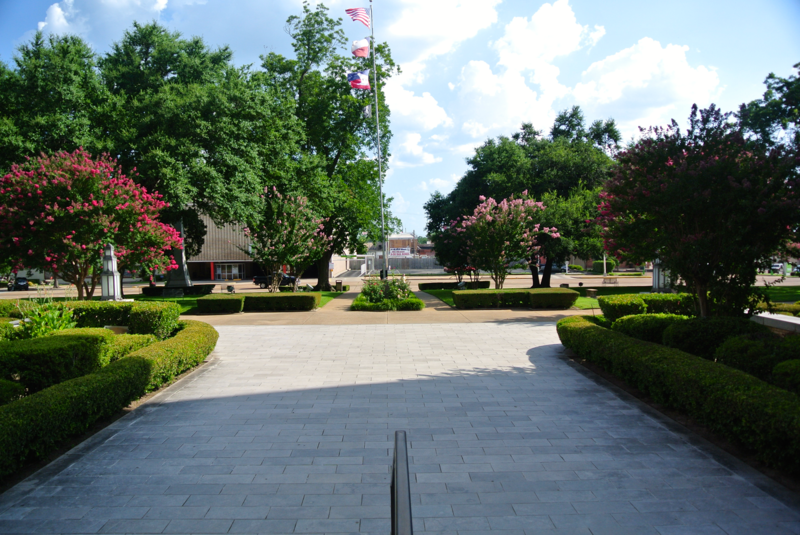 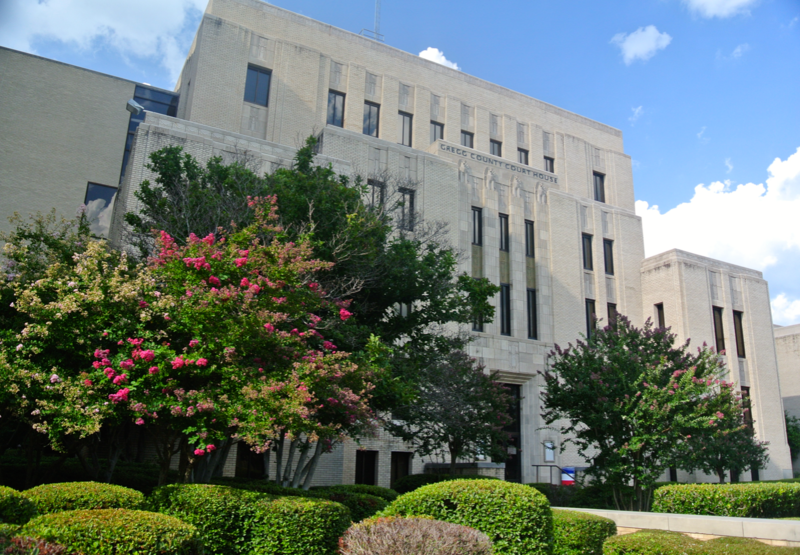 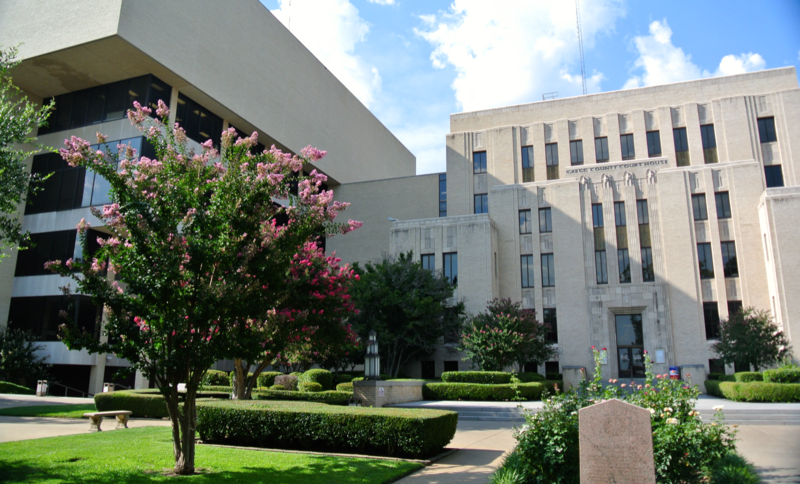 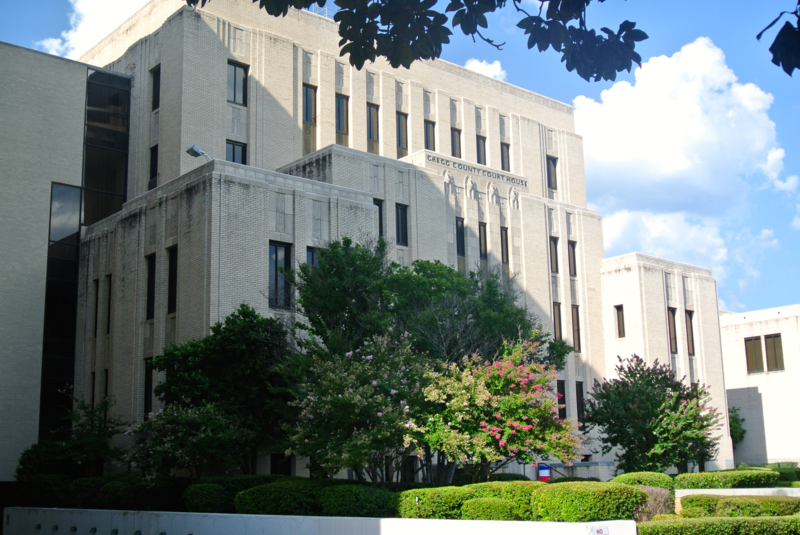 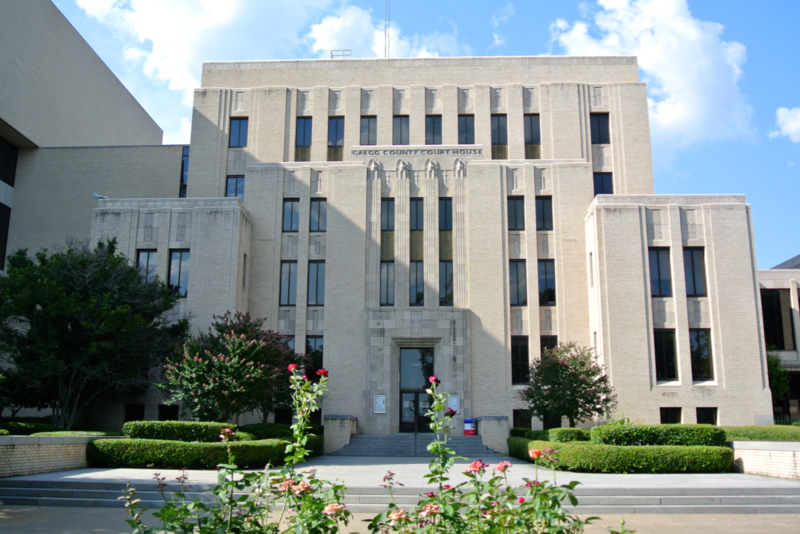 A massive annex was added in 1958, constructed by the McClendon Construction Co.
At first glance, this courthouse is large, but still relatively small when you compare it to the size of a city like Longview and a county as populated as Gregg County. 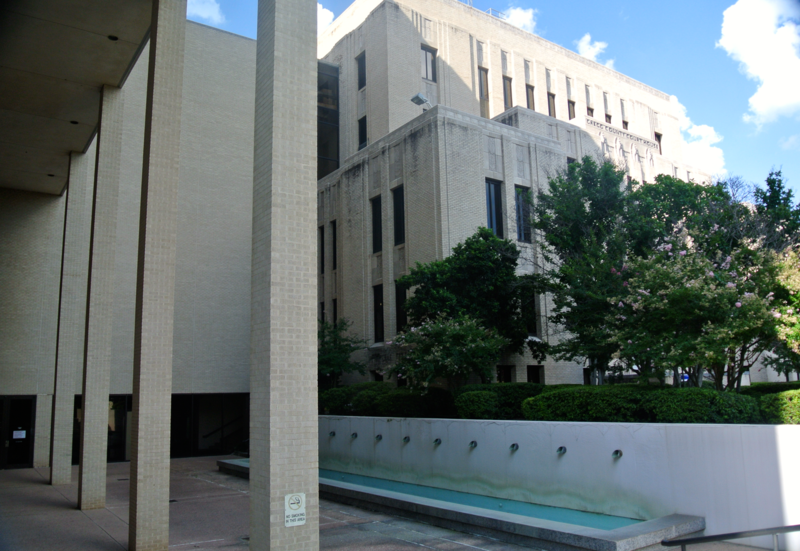 Quickly, however, one spies the enormous annex that joins the courthouse at its northwestern side. 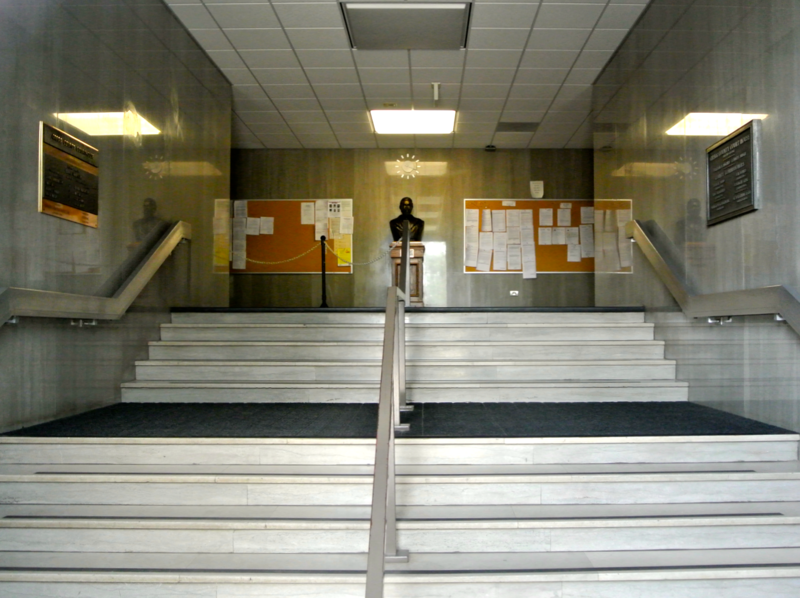 The courthouse was closed when I arrived, but here’s a shot through the front doors. 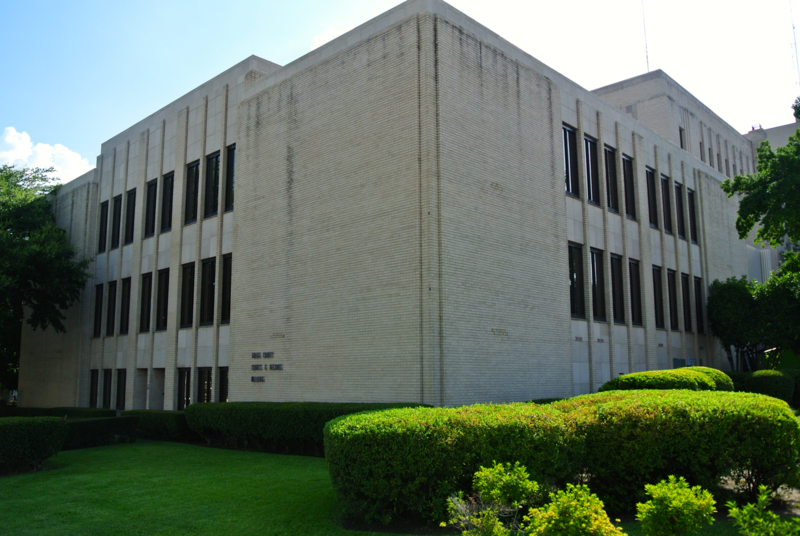 On this side of the annex, there are no windows and no doors. 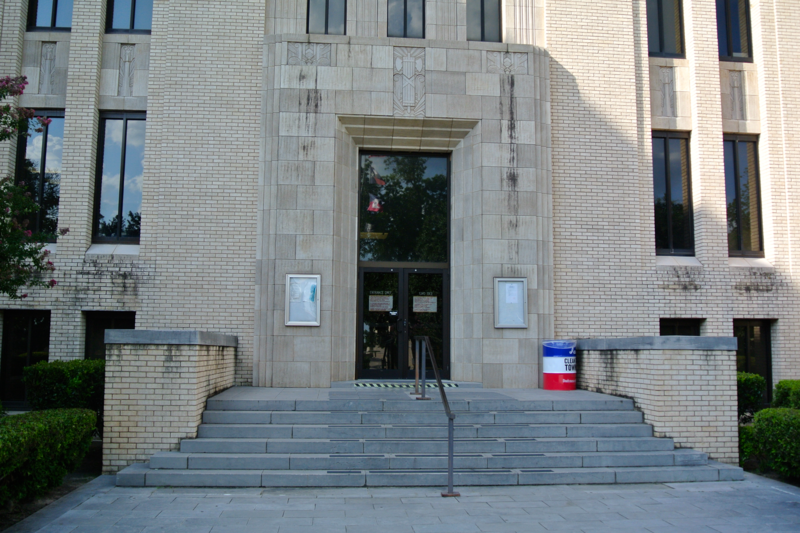 There are none on this side, either (only along the western and eastern façades). 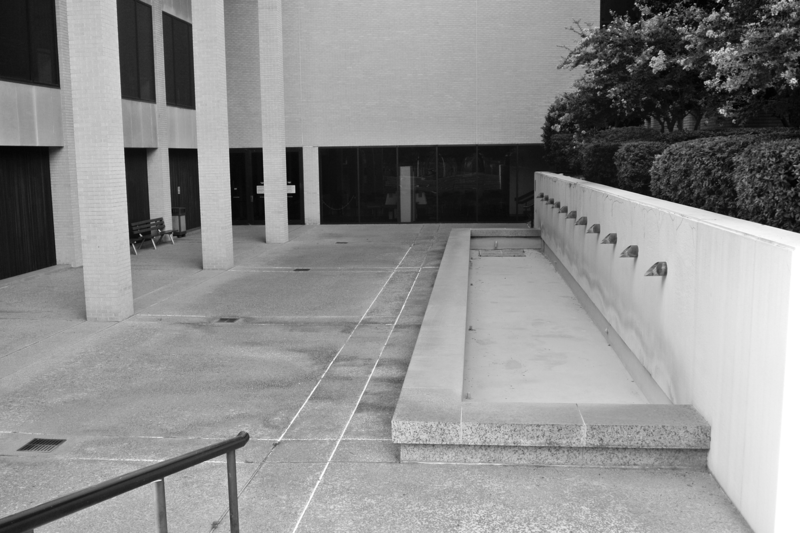 An empty fountain greeted me near the courtyard of the main entrance.